The Internal Revenue Service is encouraging taxpayers to double check the withholding amounts from their paychecks to make sure everything is copasetic under the new tax law that went into effect this year. “After filing tax returns, many people put taxes far out of their mind. However, taxpayers who received a large tax refund this year should think about taxes again…and the sooner the better,” says the IRS. The IRS has a withholding calculator on its website to perform a “paycheck checkup” and verify that the correct amount is coming out of one’s paycheck. The calculator asks questions such as total income expected during the year, number of dependents, and filing status to guide taxpayers through the process of determining withholding amounts. It is helpful to have last year’s tax return and your most recent pay stub on hand before using the calculator to be able to answer some of the questions. The IRS has provided this video tutorial on using the calculator. 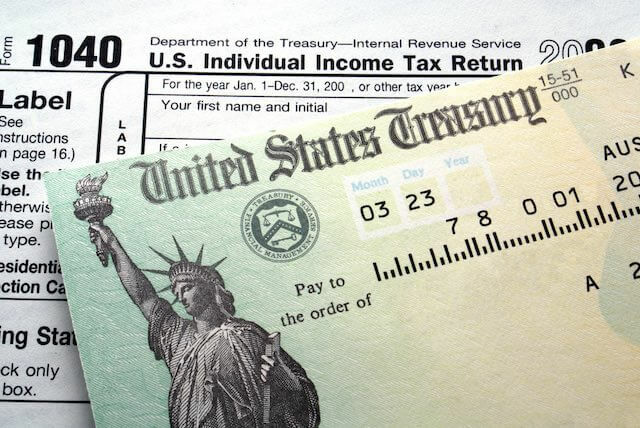 The IRS says that most taxpayers receive refunds averaging around $2,800. In 2017, it was $2,878. While it may feel good to see a large check come in the mail each year, the IRS suggests taxpayers think twice about big refunds. “Taxpayers who receive large refunds could receive more of their money throughout the rest of this year, rather than waiting until they file their tax return next year,” says the IRS. Put another way, it’s better to keep your money and put it to use for your family’s needs throughout the year rather than effectively loaning it to the government with no interest only to have it returned to you at the end of the year. The standard deduction nearly doubled. The new rules raise the standard deduction to $24,000 for joint filers and $12,000 for singles for 2018. Many taxpayers who previously itemized their deductions will find the standard deduction is now of greater benefit. For purposes of this new credit, other dependents include qualifying children or qualifying relatives, such as a college student or an elderly parent. Taxes can be complex, so always be sure to consult a tax professional for additional information or for assistance with preparing and filing taxes when needed. « What are Security Clearances and Why Do Some Former Officials Still Have Them?